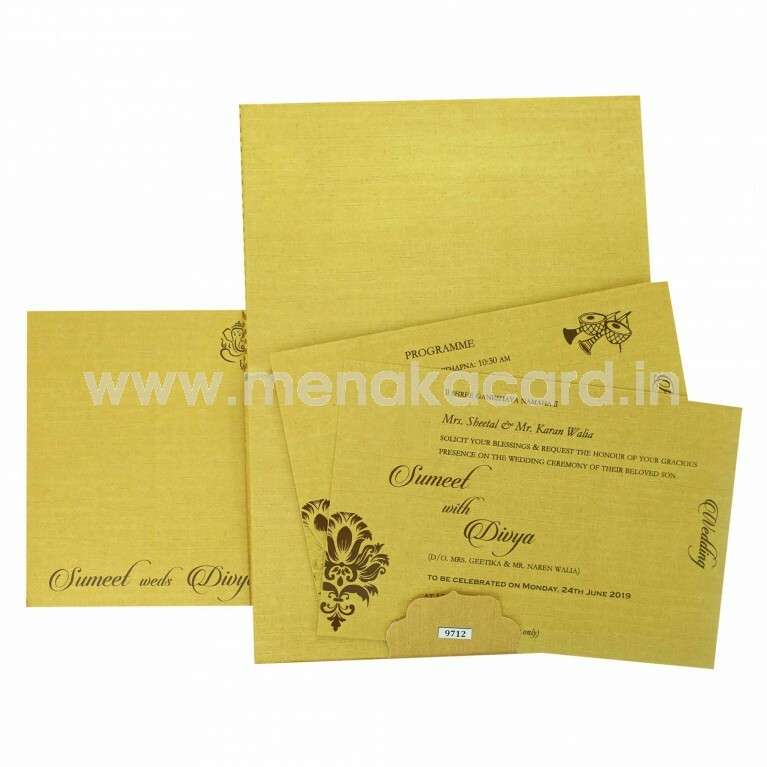 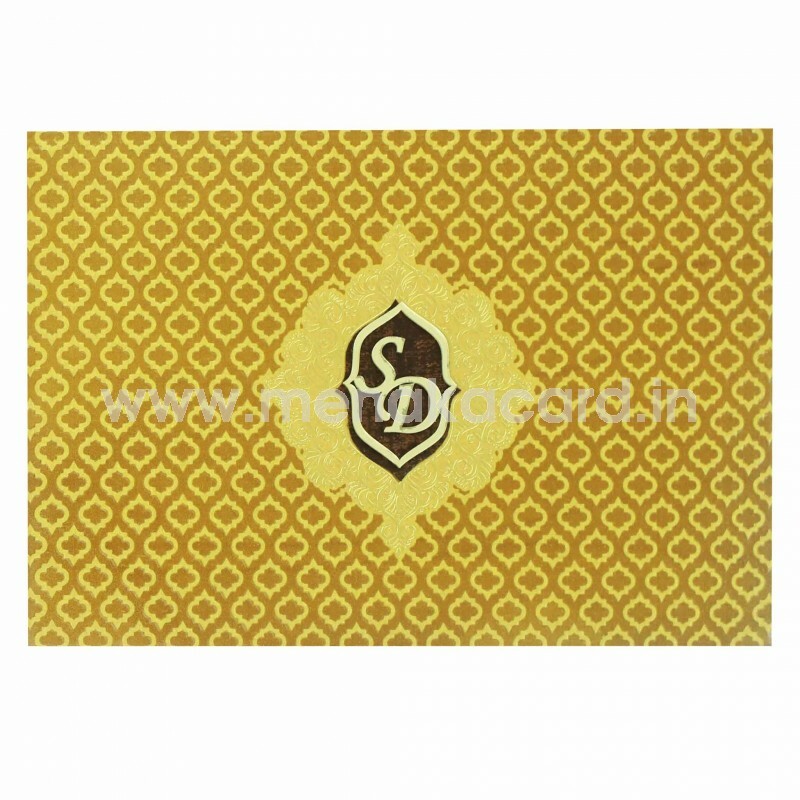 This magnificent mustard and gold card is a padded card with a laptop fold. 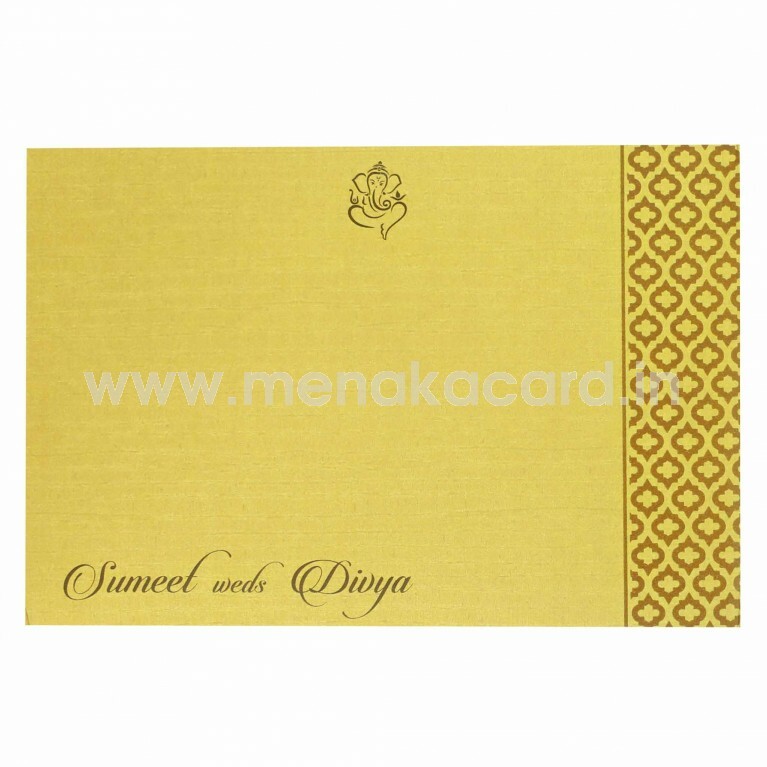 The front face displays a background of semi traditional embossed diamante lattice pattern for the ornate floral frame badge at the centre of the card printed in rich gold foil, containing the initials of the couple in shiny gold laser sticker. The arched card holder flap holds two gold inserts made from a deep gold shimmer board with text in brown, The envelope matches the lattice design of the card. 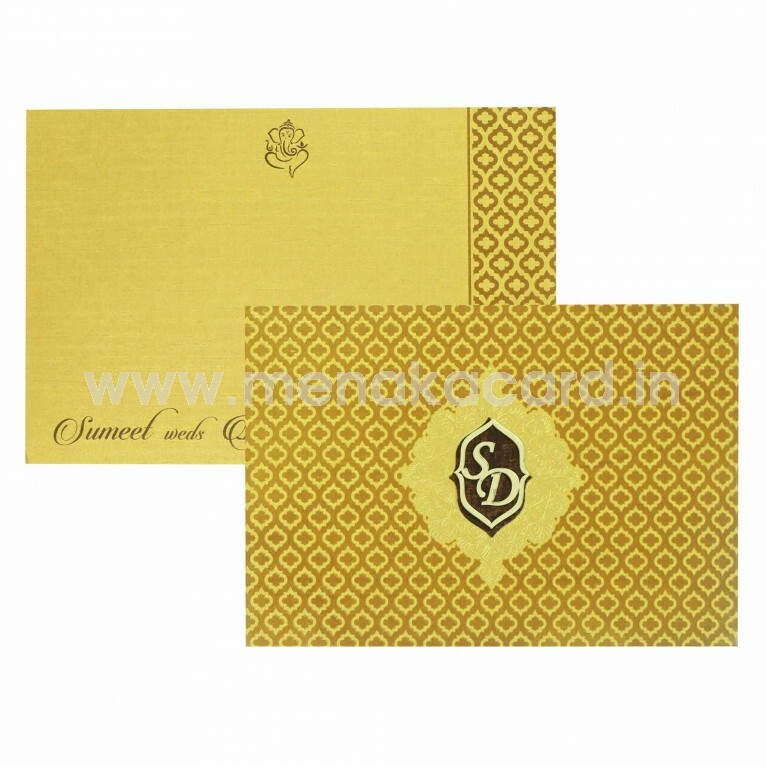 This is a grand wedding invite for Hindu, Christian and Muslim weddings.